We are dedicated to achieving perfection in all our business activities. Our long-term development is to have to a sustainable relationship with our employees, customers, society and our environment. Our commitment to excellence will enable us to grow and develop in a positive way. Our customer and client satisfaction confirm this. With our own activities and responsibilities, we are striving to maintain our professional excellence. Extreme continues to develop in the sales, service and research area for all current future medical and industrial products. Laser technology has become our major interest in recent years. We are therefore heavily involved in the continuous changes that are currently requiring the need for us to be at the pinnacle of our sales, service and research development. 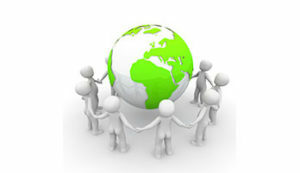 We are also focused on the environmental impact and the global needs for sustainable development. A successful quality policy can only be implemented by a proactive and reactive desire from all our employees and suppliers. Our employees are informed of all our quality policies and environmental needs by speaking to our management with any concerns they may have. All our products and services can be accessed on our website www.extreme-slo.com.